Our September 27 auction of Printed & Manuscript Americana was the highest-earning Americana auction in the last six years and brought $1.2M. 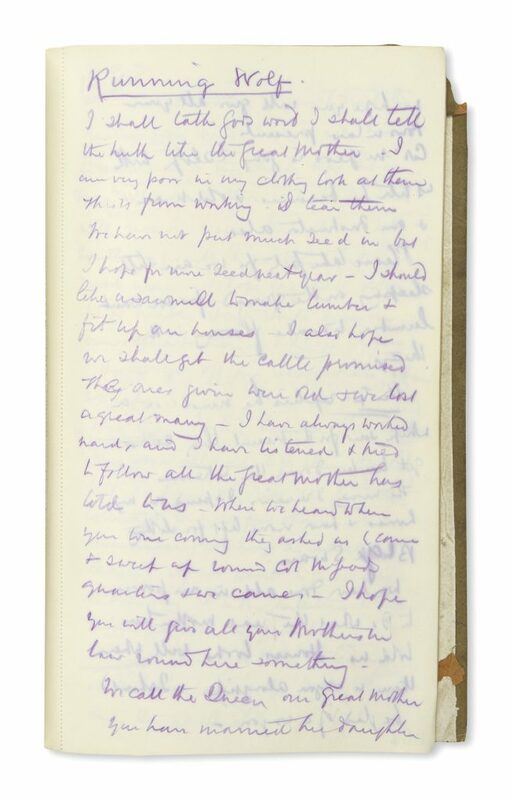 The top lot of the auction was Francis W. de Winton’s diary, containing notes on pow-wows with Indians during an official tour of western Canada, which sold for $65,000. Lot 179: Francis W. de Winton, Notes on pow-wows with Indians during an official tour of western Canada, 1881. Sold for $65,000. 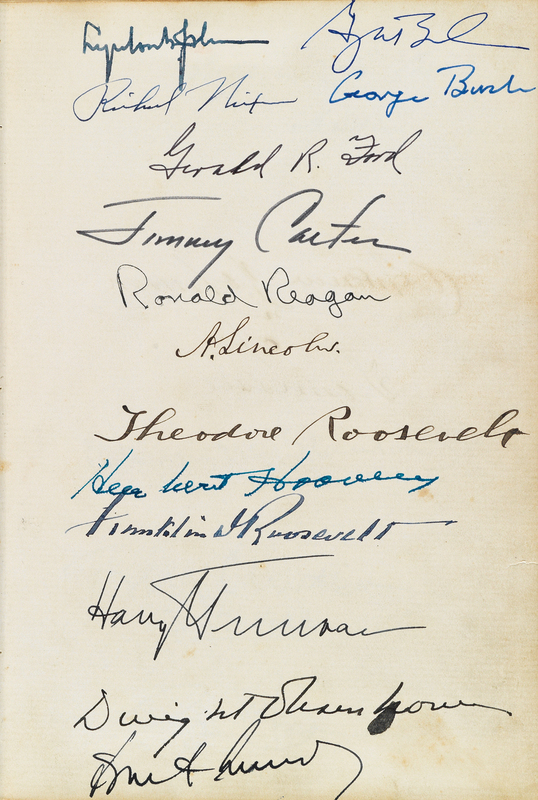 Fresh off the heels of a press frenzy, including an article in the New York Times, The Harold Holzer Collection of Lincolniana opened the morning session with a bustling auction room. Top lots from the noted Abraham Lincoln scholar’s collection included Portrait of the beardless Lincoln, by John C. Wolfe, which brought $40,000. 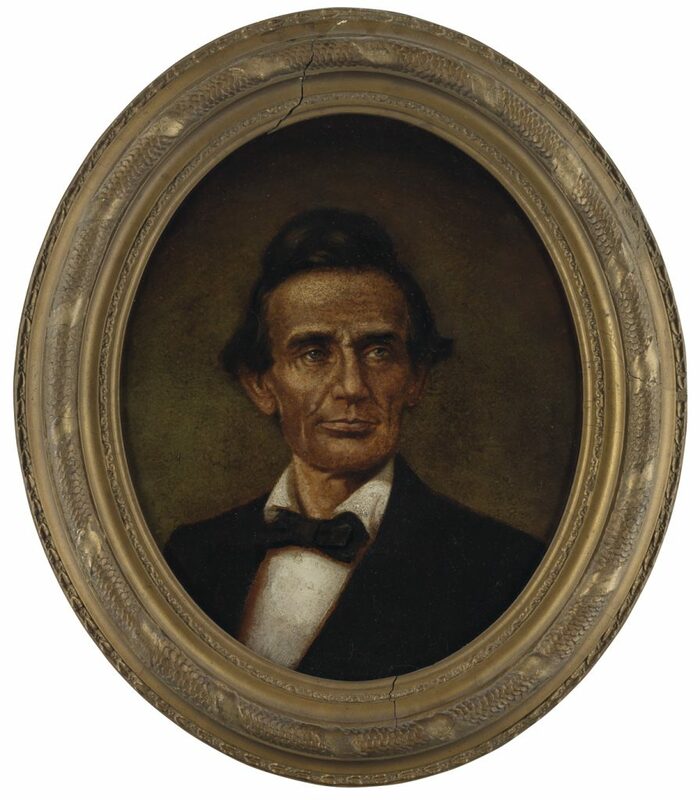 Lot 44: John C. Wolfe, Portrait of the beardless Lincoln as he appeared in June 1860, circa 1860s. Sold for $40,000. 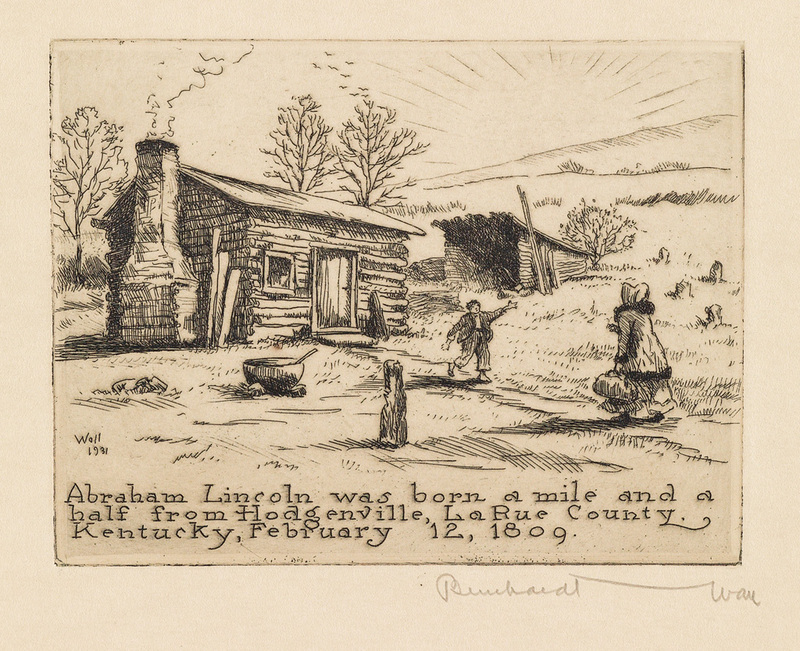 Franklin H. Brown’s fourth edition of the famous “Wigwam Print,” the first standalone print of Lincoln, sold for $21,250; and a commission of William O. Stoddard as secretary to the president, signed by Lincoln, 1861, brought $18,750, a record for a printed commission signed by the president. 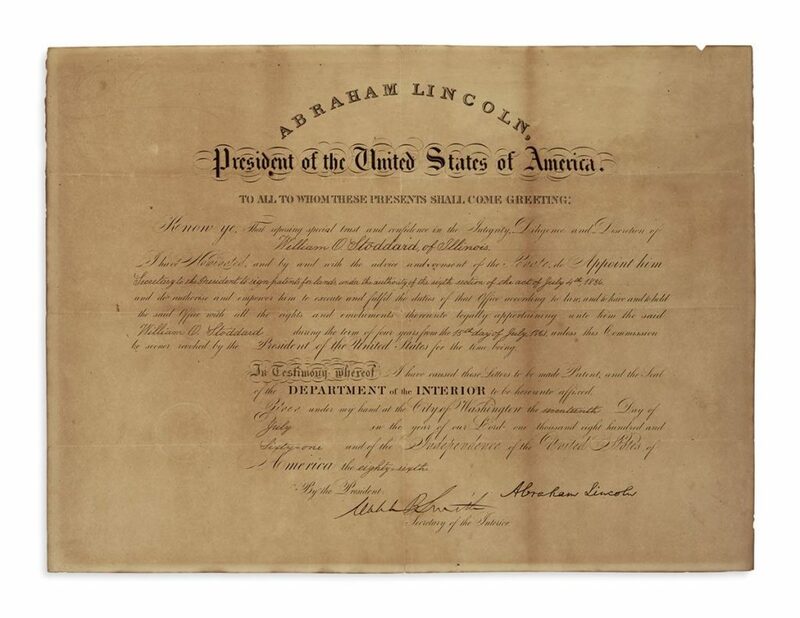 Lot 3: Commision of William O. Stoddard as secretary to the president, signed by Lincoln, 1861. Sold for $18,750. Several other records were set for Lincolniana material, including one for any printing of the 16th president’s famous 1860 Cooper Union address at $5,000. Winfred Porter Truesdell’s important reference work, Engraved and Lithographed Portraits of Abraham Lincoln, 1933, brought $4,000; an Andrew Johnson impeachment trial ticket sold for $2,125; and Victor D. Brenner’s 1907 plaque, which served as the model for the Lincoln penny, was won for $4,500. 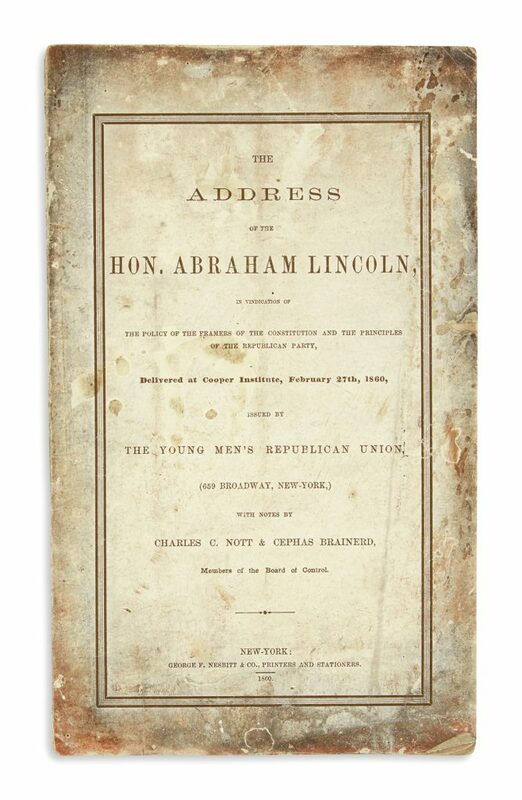 Lot 11: The Address of Honorable Abraham Lincoln Delivered at Cooper Institute, New York, 1860. Sold for $5,000. 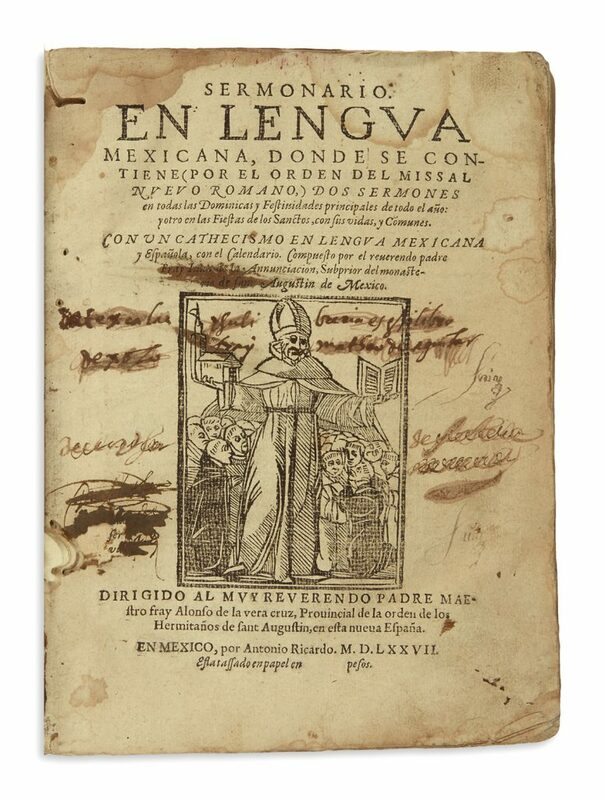 The selection was led by Juan de la Anunciacón’s Sermonario en lengua mexicana, Mexico, 1577, a first edition book of sermons in Nahuatl, which sold for $30,000. Lot 447: Juan de la Anunciación, Sermonario en lengua mexicana, Mexico, 1577. Sold for $30,000. Among many institutional bidders, William & Mary College won a collection of India missionary letters by Louise E.Blackmar, a Methodist missionary in India, to her stateside siblings, 1873-82. 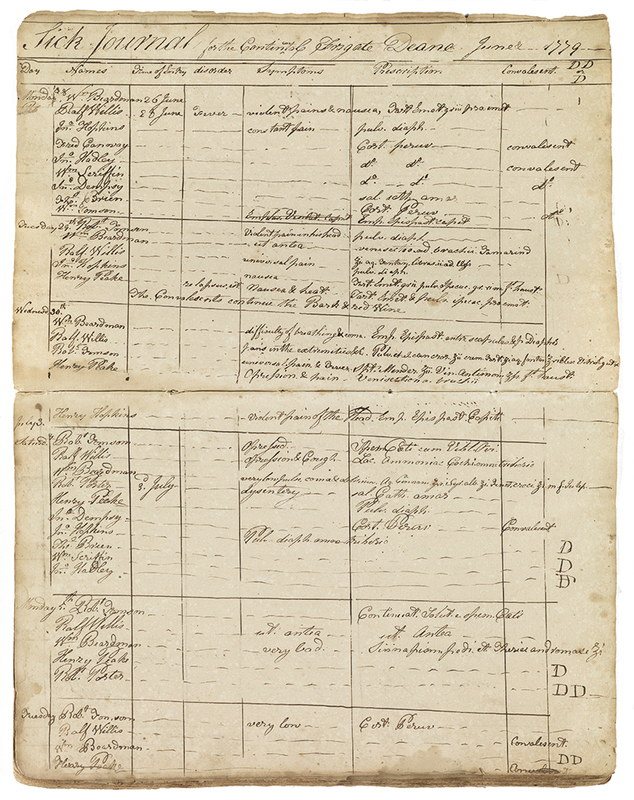 The Society of the Cincinnati’s library won a pair of letters by Charles McEvers, describing unrest and British artillery fire in 1775. 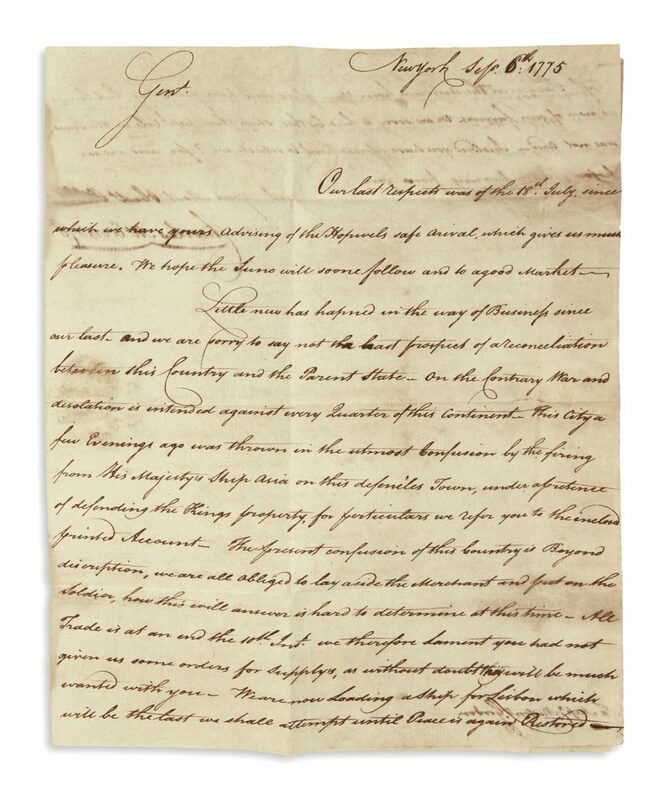 Lot 197: Charles McEvers & Co., letters describing unrest and British artillery fire in New York, New York, 1775. Sold for $5,500.